The NI Trust Group comprises over 40 funders working across NI. This annually reviewed booklet provides information to the voluntary and community groups on 19 of NI’s key funders’ aims, current funding programmes and contact details. BBC Children in Need awards grants at seven points during the year and funds two types of grants, both of which are open to new or existing applicants. Small Grants - For grants of up to £10,000 per year, up to three years, a short application form focuses on the differences made to the lives of disadvantaged children and young people. This is assessed, usually by telephone interview, with a response roughly 10 weeks after application. There are 4 decision points in the year, with applications received by 1st March June, September and December, hearing the outcome in early May, August, November and March. Main grants (over £10,000 for up to 3 years) have a two-stage application process. An initial application eliminates those with low prospects of success at an early stage, with those who are successful invited to make a full application. The focus of our decision making is on the outcomes for children and young people and the potential learning to be secured. There are 3 decision points in the year, with applications received by mid-January, May and September being decided by mid-June, October and February respectively. For more information go to the website www.bbc.co.uk/Pudsey or contact the local office on 028 9033 8221. Established in 1752 the Belfast Charitable Society is the oldest charity in the city and has worked to tackle disadvantage from its inception. The Society continues to benefit the people of Belfast and further afield by supporting various charities and philanthropic causes. It regularly considers how best it can utilise its limited resources. It currently commits its funds in the following ways. The Society has created a £1M loan fund, in conjunction with UCIT and Building Change Trust. This Fund will provide much-needed source of small (up to £25,000), unsecured loans to voluntary, community and social enterprise groups across Northern Ireland. These loans will allow recipients to improve their viability, sustainability and resilience. This programme provides a small number of grants to causes and organisations. The Society has recently committed this fund to the NI Hospice having provided a capital grant (£100,000), and a further three years revenue fund (£150,000) to enable the organisation to transform its service delivery. The Society’s longevity and commitment to addressing disadvantage made it an attractive haven for those responsible for the assets of the Hilden Trusts. In winding up the latter the Directors and the Society created the Barbour Fund - a programme which supports people out of poverty. The Society is keen to encourage and promote philanthropy. It sponsors the Institute of Fundraising conference to enable others to share and learn more about best practice in philanthropy. It is also a partner of the Philanthropy Fortnight initiative. Buttle UK, with financial support from Children in Need and Comic Relief, offers financial help to families and estranged young people up to the age of 20yrs towards essential household items. Average grant is £200 - £300 or goods can be supplied directly to the recipients. Buttle also offers programmes of support for boarding school fees and for estranged young people attending Further Education College and/or University. The package of support we offer young people contains three elements: support for an education, employment or training goal, as well as funding toward establishing a stable home environment and access to activities that help promote a young person’s wellbeing. The Carnegie UK Trust seeks to improve the lives and wellbeing of people throughout the UK and the Republic of Ireland through influencing public policy and demonstrating innovative practice. The Trust is not primarily a grant-making organisation, but does offer funding via application for a small number of specific projects, always connected with our policy and practice work. Please see the website for further information. We raise millions of pounds through two big fundraising campaigns – Red Nose Day and Sport Relief. We spend that money in the best possible way to tackle the root causes of poverty and social injustice. We use the power of our brand to raise awareness of the issues that we care most about. Enkalon Foundation was established in 1985 following the closure of the British Enkalon factory in Antrim. The aim of the fund was to support the local community in the wake of the closure. As the Foundation grew support was offered to charities and community groups across Northern Ireland. To date Enkalon Foundation has given out over £5million across Northern Ireland via 6,656 grants. £2.6 million of this funding has been in the former Antrim Borough. Enkalon Foundation has an annual budget of around £200,000 which is used to support charities and community groups to meet and deliver their core objectives. Applications should clearly demonstrate the need for the funding and how the group, users and wider community will benefit from it. Applicants can apply for core running costs or project costs provided the benefit to the group is clearly outlined in the application. Enkalon Foundation is a small funder and whilst applications of up to £6000 are accepted the average grant is £1000. The application process is open to charities and community groups based in and working within Northern Ireland. Enkalon Foundation supports a wide range of organisations which are benefitting the community through their work in all areas of public benefit as outlined by the Charities Commission NI. For example: Relief of Poverty, Health, Education, Animal Welfare, Community Development, Arts, Culture, Amateur Sport, Diversity and Equality, Environmental Protection and Relief of those in Need. Applications from Senior Citizen groups, Playgroups, PTA’s and sports groups are restricted to those based in the former Antrim Borough. The Fermanagh Trust funds a wide range of organisations and initiatives primarily in County Fermanagh via a range of range of funds including the Fermanagh Trust own grants programme. The Halifax Foundation for Northern Ireland is a grant-giving Foundation whose income is derived from Lloyds Banking Group. Its policies are determined by an independent Board of Trustees, which agrees on the Foundation's strategic priorities and distributes the funding. The overall aim of the Halifax Foundation for Northern Ireland is to support charities which enable people, especially disadvantaged or disabled people, to play a fuller role in the community. A wide range of charities can be supported by the Foundation, from early years to seniors’ groups, food banks, disability groups, advice services, sports and arts to name but a few. Income of an organisation must be less than £1 million to be eligible. There is no maximum amount that may be applied for, but the average grant is currently around £3,500. The Foundation operates a rolling grant programme, with a maximum of 4 months turnaround. The Joseph Rowntree Foundation's purpose is to inspire social change. NIE staff and pensioners have been contributing to this fund for over 20 years and in that time in excess of £20million (including annual support from the company) has been distributed to local charities. The main aim of this fund is to support improvements around social and community welfare, education and training to enable people, especially disabled or disadvantaged, to play fuller roles in their local communities. Funding is mainly given for equipment, printing and training for people with disabilities, as well as projects which benefit senior citizens. The fund does not support third-tier funding such as sponsored events, capital funding, salaries or projects outside NI. Provides grants up to £750. 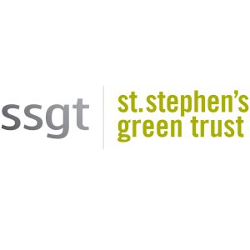 St Stephen’s Green Trust is a charitable foundation which respects human dignity and is committed to identifying and responding to issues of social injustice in Ireland. It manages a number of grant schemes which are open to voluntary and community organisations on the island of Ireland. SSGT is a responsive grant-making trust and Trustees have agreed on the following funding priorities. There are varying opportunities for funding under these priority areas and each grant programme has specific criteria. Organisations intending to apply should check their general eligibility on the SSGT website or contact us if not sure whether the organisation or area of work is eligible. Community Impact - Providing funds to support local communities, particularly to help the most marginalised and vulnerable, and investing in the kind of projects that other funders might not fund. Community leadership - listening to the communities we’re working with, and based on what we’re hearing advocating with them to those in influence. The Society is an historic charity which operates mainly in County Londonderry by using its assets to make small grants to not-for-profit organisations in the County and neighbouring areas. Grants are currently limited to £1000 max for a group; a 3 year rule applies to repeat applications. Applications are considered by a Local Advisory Committee meeting 3 times a year, currently in February, June and October. Closing dates for each meeting are normally 5th January, 5th May and 5th September. In addition we now have a limited amount of funding available for NI charitable projects outside of County Londonderry: £2,000 max size of grant. Or write to: The Honourable The Irish Society, 54 Castleroe Road, Coleraine BT51 3RL. We are investing in Northern Ireland through a range of funding programmes such as our popular small grants scheme Awards for All and our Empowering Young People programme which is supporting young people across the region. Our People and Communities programme is also opened for applications. If you would like to chat about your project idea further please contact our Communications team. The Northern Ireland team is based in Belfast. There's much more to heritage here than Belfast’s legendary Titanic quarter. How about the rich wildlife of the Balinderry River or the causeway built by a mythical giant? Walk the historic streets of Derry / Londonderry, delve into the traditions of South Asian communities, and explore Northern Ireland's heritage in every shape and form. All of our information on grant aid can be found at https://www.heritagefund.org.uk/. If you would like to make an application, first read the application guidance for the programme you want to apply under and take a look at other available resources, such as guidance for applying and project examples. These will help you develop your ideas. If you’re applying for a small grant under £10,000 for Sharing Heritage you can then send in your online application. For other programmes you can send us a funding enquiry form first. We’ll give you feedback and suggest where you can find more help before you complete your full application. UnLtd support people who have the determination, passion and commitment to change the world around them. We support individuals directly, not their ventures. We offer a package of support and funding (awards up to £15,000) tailored to suit each individual along with one-to-one guidance from an Award Manager to help get their venture up and running. We offer support for social entrepreneurs at various stages of their journey. Ulster Garden Villages Limited allocates funds to Capital and Revenue projects within Northern Ireland that improve the quality of life in the local community. The main objectives are Health, Disadvantaged sections of our society, Young People, Culture and Heritage and the Environment. Applications are only accepted by email on the form that can be downloaded from the Trust website. Please visit the website to read the full guidelines before contacting the Trust Secretary. NICVA provides Secretariat to The NI Trust Group and manages NI's funding database, GrantTracker. NICVA is not itself a funder, but provides training and advice on fundraising. GrantTracker is Northern Ireland’s leading funding toolkit, created to help charities and communities thrive. It is an entirely unique funding database covering over 800 sources of funding for NI projects, sourced from local and international funders. Developed and managed by NICVA, GrantTracker is a truly local product, developed by the sector for the sector. GrantTracker will help you find schemes relevant to your projects, keep on top of deadline dates and co-ordinate your funding applications. Access to GrantTracker is now available from £100 a year for NICVA members and £145 a year for non members www.grant-tracker.org.